30 Day Sugar Detox | Cut Sugar, Lose Weight, Feel Great! Cut Sugar, Lose Weight, Feel Great! 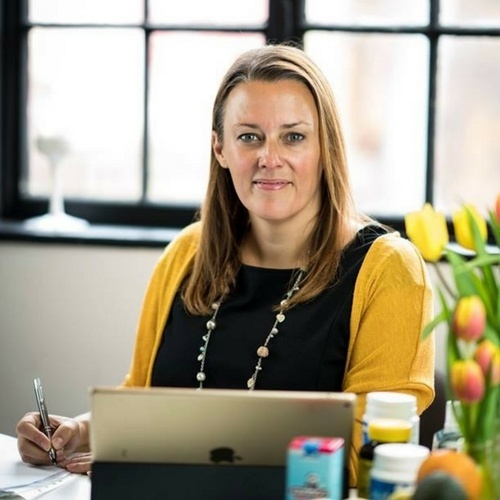 One of the UK's leading Nutritional Therapists teaches you everything you need to know about cutting sugar from your diet in less than 10 simple, straight-forward steps. "Just to report...30 days have past and all my family are thinner and feeling good! No sign of anyone rushing for a carb or sugar fix, though we are celebrating with your chocolate avocado mousse recipe! Anyone struggling, stick at it, it's worth it!" With easy to follow modules, shopping lists, delicious recipes and expert guidance, you can finally take control of your diet and feel better than you have in years! Fancy a burger? Not a problem. Got a craving for chocolate pudding, go right ahead! My collection of personally developed recipes (many which use naturally gluten free ingredients) are yours to keep and use forever. And even better, you'll be able to make most of the meals with ingredients you already have in your cupboard! The 30 Day Sugar Detox is a simple, straight-forward and super effective online course that will help you to ditch the sugar in your diet, lose weight and live a healthy, happy life, everyday. This is not a diet, it's a lifestyle program that will set you and your family on the path to a healthier lifestyle, free from guilt and food cravings forever. "Catherine proves that kicking the sugar habit can be done – in a way that is still enjoyable for people who still enjoy tasty food." The truth about sugar in the food and drink you consume everyday. How much sugar you're really eating and drinking (I guarantee it's more than you think!) and how your addiction to sugar affects your body, your blood sugar and even your mind. The truth about fruit and fructose - how they affect your body and how to choose what's best for you. How to read food labels and identify what tricks food manufacturers use to lure you into thinking a product is healthy, when if fact it's anything but! Recipes and nutritional tips to transform your favourite junk food into a family friendly sugar-free feast. I'm not going to take away your favourite foods, instead I'll show you healthier ways of preparing meals. How to break your addiction to sugar once and for all... and how your body might react. Easy-to-follow meal plans and recipes that the whole family will love. How to cut your cravings for sugar for good by packing your diet with great food that tastes even better. This is months of personalised health coaching wrapped up in a single, 30 day program. Convenient and just as in-depth, but much less expensive than a personalised consultation. "I did this last January. One year on, and I’m still virtually sugar free! Best ‘diet’ I ever did. Skin so clear, and just don’t really miss the sweet stuff. Just feel so much better, can’t imagine ever going back. Cannot recommend highly enough. Thanks so much Catherine." The 30 Day sugar detox includes 7 easy-to-follow modules, videos, meal planners, shopping lists, recipes, top tips and a free copy of my popular ebook: Junk Food to Super Food. You'll also get exclusive access to my Secret 30 Day Sugar Detox Facebook Group, where I'll be online every week to answer any questions and help keep you on track. What’s more, your membership doesn’t expire – you’ll have access to all future updates I add to the course for one low price. So, if you fall off the sugar-free wagon and decide to return for another round of the detox, your materials, resources and recipes will all be there, waiting for you. "Guess what… I’ve lost another 3lb! That’s 11lb in 6 weeks. Am really chuffed, I’ve never lost this much EVER!"